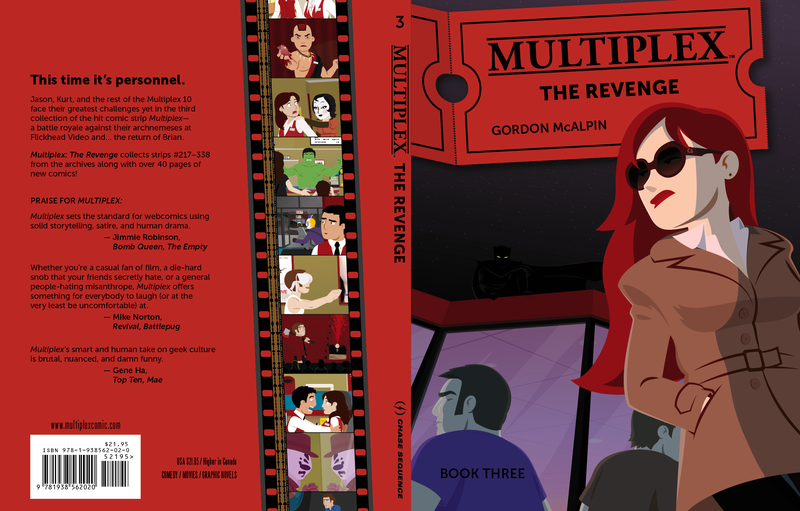 Multiplex: The Revenge is the third volume, Jason and Angie get serious, the Multiplex 10 and Flickhead crews battle it out on the silver screen (sort of), and Gretchen has her long overdue comeuppance. Multiplex: The Revenge collects chapters 11–15 of the series (strips #217–338, which ran from March 2008 to March 2009), plus over 30 bonus comics — including an all-new arc set on opening night of Zack Snyder’s Watchmen! 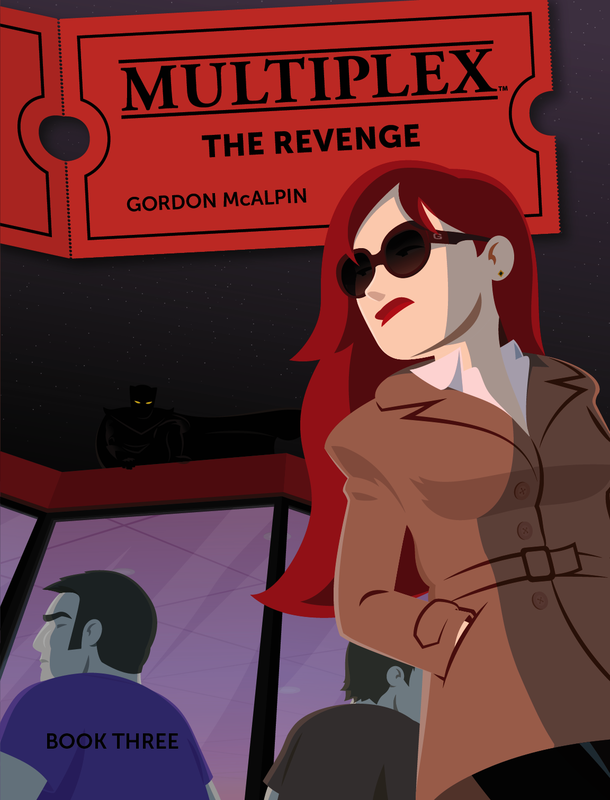 Multiplex: The Revenge is available from the Multiplex Store.